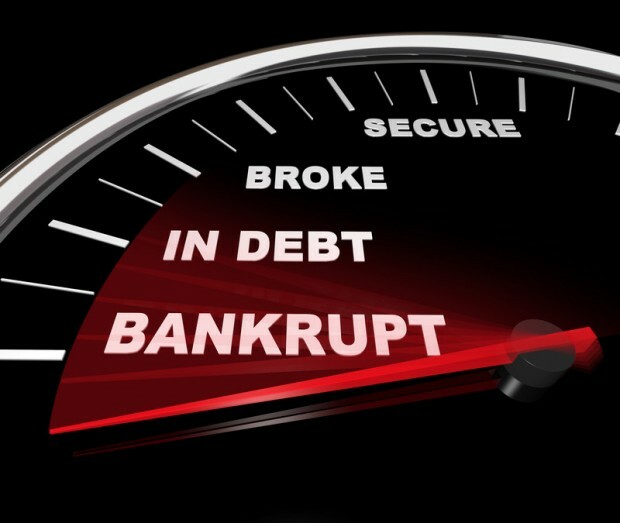 Average Joes are not the only people who find themselves in bankruptcy. Every year, some celebrities find themselves retaining a bankruptcy lawyer or see their homes slipping into foreclosure. We take interest because these situations reveal that money issues often tie the common folk to people living in the spotlight. When it becomes difficult to stretch the household budget to cover daily expenses, we realize that somewhere, a celebrity is going through the same thing. Foreclosure and bankruptcy cases involving celebrities make headlines. Self-help expert Robert Kiyosaki, who penned the financial guide Rich Dad, Poor Dad, recently added bankruptcy to his list of accomplishments after his company Rich Global, LLC lost a court judgment to the Learning Annex, to the tune of $24 million, while his filing listed only $1.8 million in assets and $26 million in debts. Will Smith and Oprah Winfrey may now be questioning their faith in Kiyosaki. Former National Football League (NFL) superstar Warren Sapp will soon auction his Florida home to the highest bidder. The good news is that he may be able to repurchase some of the items sold during his Chapter 7 filing, which include personal property and his 2002 Super Bowl Ring. Sadly, his 215-pair collection of Air Jordan sneakers was already auctioned on eBay. Fellow NFL star Michael Vick filed for bankruptcy in 2008 and has managed to spend nearly $30 million since. The majority of earnings from his $100 million contract and profits from a memoir and line of sports apparel have enabled Vick to repay most of his debts. Included in the payments were $10.9 million in taxes and $9.2 million to creditors. Since August, rap singer Young Buck has been in prison, where he will serve 18 months for weapons possession as a convicted felon. He filed for Chapter 13 in 2010 and attempted to hold onto his personal property in the process. However, in July 2012, some of his belongings were auctioned by the Internal Revenue Service for $53,000. Vintagemusicgear is currently auctioning an HDTV-compatible projector, craps table, and other possessions of the rapper on eBay. The financial woes of the famous will continue to capture our attention. Director Billy Corben is one person profiting from our interest in the topic. He recently released Broke, a documentary that investigates why many professional athletes file for bankruptcy. Poor financial management, excessive spending, and fraudulent associations are just a few of the reasons that we will continue to hear. Speaking to a lawyer is probably a good idea for all these people, and if you are in?debt, a bankruptcy lawyer can help you too.